Wondering if anybody has pursued a 1x11 set up, and their thoughts? 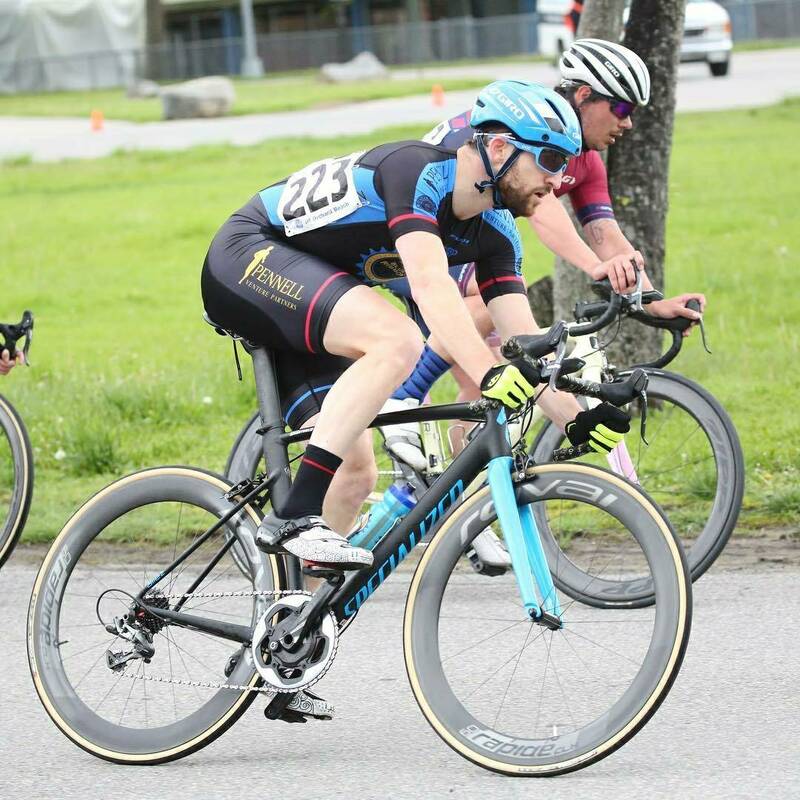 Looking at building a crit bike with SRAM Force 1, with either a 52t front ring and a 11-28 cassette. The SRAM ratios look pretty good, with nice gradual ratios down low for racing, and good gearing for getting over pimples to and from races. 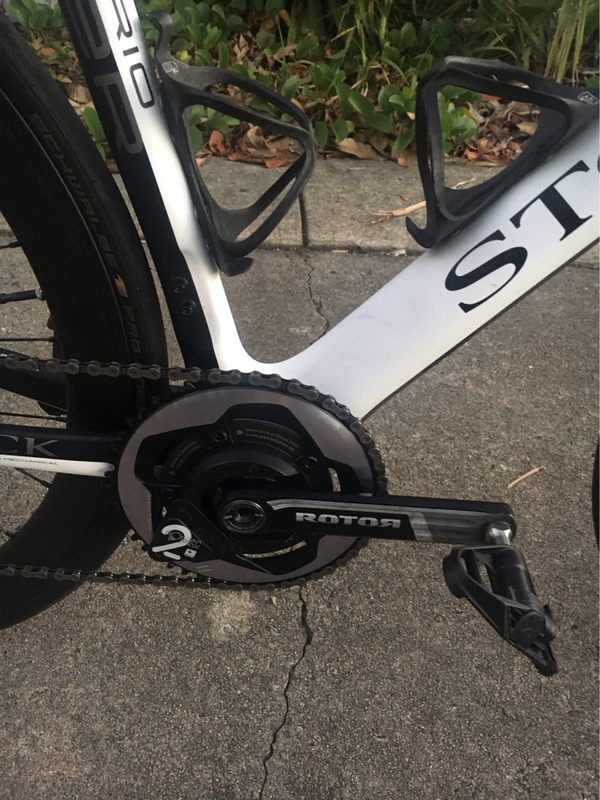 I also like the idea of the roller bearing clutch in the RD that keeps the chain nice and tensioned - some circuits around here are a little bumpy and I've had chains skip before jumping out of corners. I'm under no illusion that it will be a pig up hills, but I've got other bikes for that. thedonnydino wrote: Wondering if anybody has pursued a 1x11 set up, and their thoughts? Works pretty well for me. Doubled up yesterday. 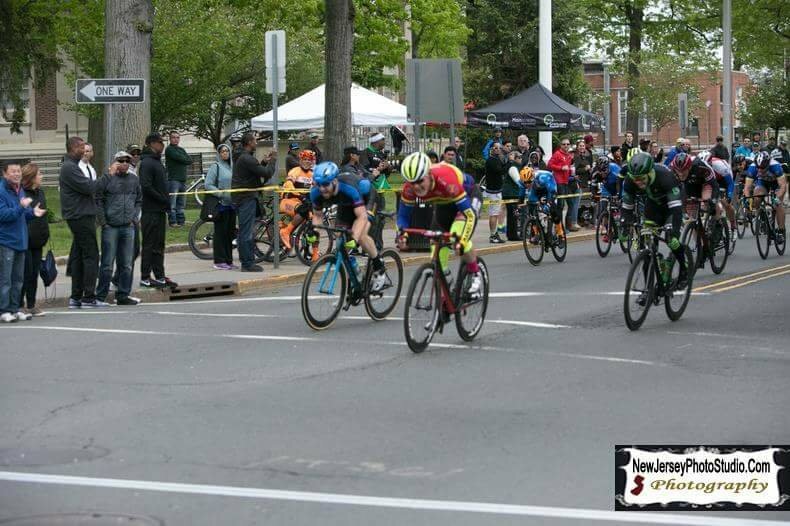 Took 8th in the morning then 5th in the afternoon (second in the Sprint after a 3-man break survived). I race on a 54x11-26 and train on a 54x11-36. Driving some big gears! I typically ride out to my races, and it's bumpy here in Sydney, so that's why I'm considering the 11-28, or 11-32. It's flat here in NYC. I am absolutely sold on 1x for CX/gravel/MTB where front shifting can be a little unreliable and stuff gets filthy. But front shifting on a road bike is great now, and it stays mostly clean/much easier to keep clean. Honestly all I think road 1x has going for it is image. That risk of having to stop to get the chain back on and losing the bunch puts me off. I've only been riding it for 6 months but have never experienced this chain drop you speak of. I also only sprint at 1300 watts. Maybe if you're a stronger sprinter, the chain will jump more? I think that's the point of the narrow-wide chain ring and bearing clutch - it keeps the chain taut, and from what I've read, more than a double up front. The cons you mention are pretty interesting though. I can't seem to find complete weights for Force 1, and the drivetrain efficiency loss sounds like it warrants a little more investigation. I should clarify. I've used 1x road for a couple of months on the road because I had the parts laying around. I never dropped the chain on the road 1x, riding or crit racing. I've used 1x much more (5 years) offroad where I have dropped the chain. The possibility of dropping it on the road was always in the back of my head and that's what sent me back to a double ring. You need to trust your equipment to fully commit. I feel a chain drop has bigger consequences on the road. For losing the bunch in a race, or a nasty high speed crash. The things that I've found most contribute to 1x chain drops are a worn chainring (wear will be slower on a large road ring with less dirt involved) and repetitive bumps with no pedalling (braking bumps off road similar to a rippled corner in a crit or on a road decent with potential for a back pedal shifting body weight). Weight. I've weighed Force22 versus Force1 components individually including cables. 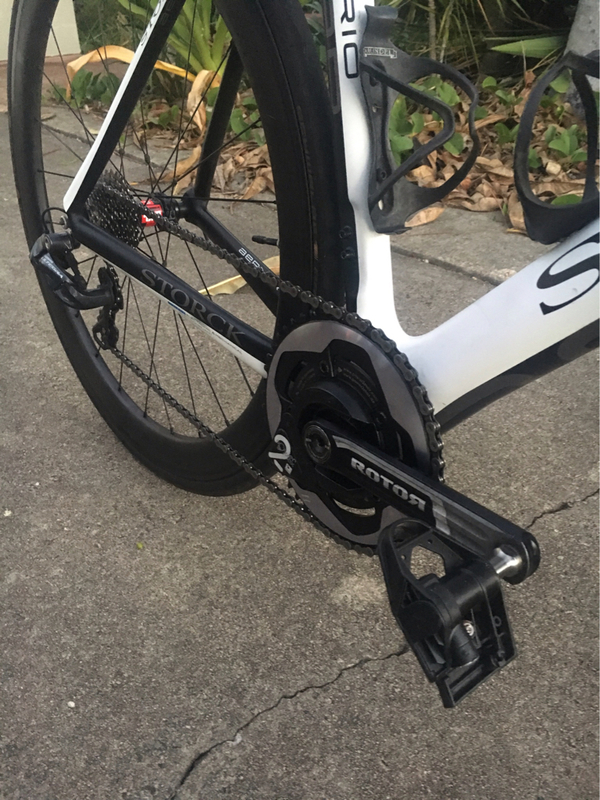 1x groupset is ~50 grams lighter with large cassette (equal gear range, larger gear jumps) and 150 grams lighter for small cassette (equal gear jumps, smaller gear range). I think 1x is a great system. The likelihood of a chain drop on road 1x is really quite low I think. But I just don't trust it as much as I trust a double and I don't see the practical advantage for road. Double rings work really well on the road. grover wrote: I think 1x is a great system. The likelihood of a chain drop on road 1x is really quite low I think. But I just don't trust it as much as I trust a double and I don't see the practical advantage for road. Double rings work really well on the road. Thanks for the response and insight, Grover. Appreciated. Just started experimenting with it, using the SRAM 1x chain rings in 48,50,52 and will experiment with various cassettes. The area around me is fairly flat, there are some hills but I have another bike for that type of riding. Like you I wanted the set up for criterium racing. I'm never in the small ring for it and have never dropped a chain in a crit, I have road racing but that was changing between small and large rings which obviously isn't something I'll be doing with this set up. I prefer fairly close gearing so am planning to experiment with changing the front ring for different courses and keeping a tight cassette on the rear. I will also most likely upgrade to the new Ultegra when available or the XT if I want more rear cassette range and the security of a clutch. I'll also change the Di2 shifting to mimic ETap. So far from a couple of rides I really enjoy the simplicity. No chain rub, no worrying about planning a front change or not, ect. Looks good too. wow, so clean! I am usually not a big fan of the Storcks but she's a beauty! 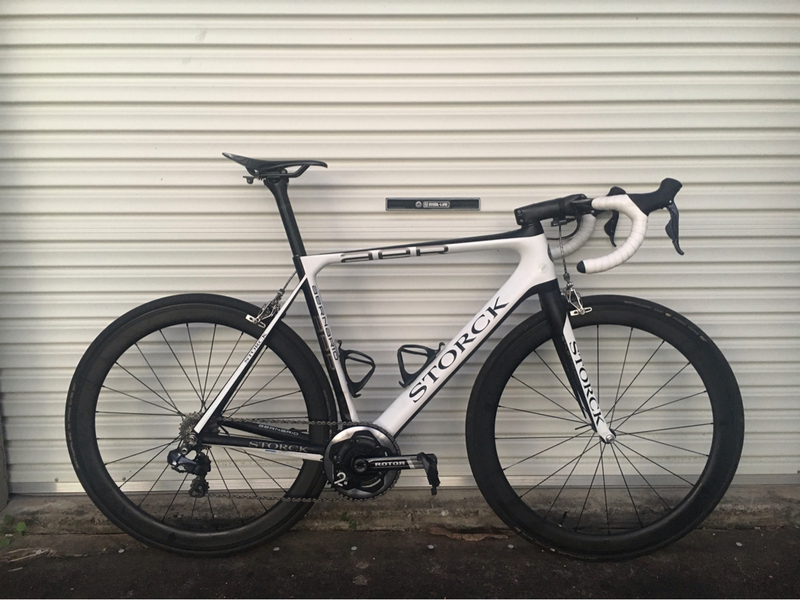 What stem is on that storck? It's a de-badged Pro Vibe Sprint (120mm). Sanded the logos off the body and used acetone for the top cap and face plate. You don't really need a clutch derailleur for 1x, even on my MTB a narrow/wide ring was enough. Just make sure your chain isn't too long. Also - 52 rings, is this really needed? I'd probably go for a 48 or 50, cadence is the key. I'm riding 1x on 6 bikes btw.